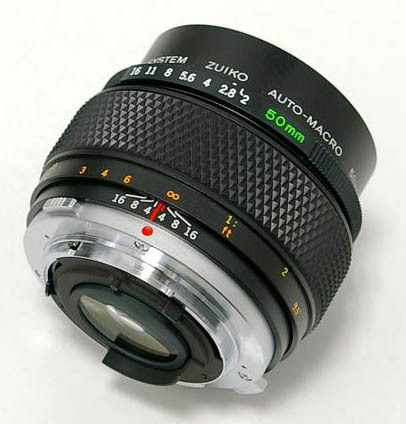 Regular readers might recall that I picked up a 50mm F2 Zuiko macro lens in a multi-item lot in a local auction. It's a valuable lens and the plan was to sell it and other bits and pieces in the lot so that I could make a little profit and keep the Rolleiflex Standard that was also part of the sale. Yes, that was the plan. It definitely was. It's maybe on the point of changing, though. If you spend as much time on the internet as I do (don't ever buy an iPad if you want a life) then you'll probably have come across Mike Johnston's article about 50mm lenses. He described the Zuiko macro as "utterly forgotten yet absolutely magnificent" and said there was no better 50mm. As a photo-nut, it's difficult having a lens like that in my possession without seeing what it's like. It can't hurt, right? How many rash decisions based on that philosophy have led to unintended consequences? On Monday, I dropped Cath and Freya off in town to do some shopping and went "walkabout" in an old, decrepit industrial area in Dundee. I took an OM2n (the same one, coincidentally, that was also part of the auction lot but cleaned up and with new foam light seals) and the 50mm macro and the Hexar AF. Both cameras were loaded with Agfa APX 100. This taught me two things: I really, really, really prefer SLRs to rangefinders and the 50mm Zuiko is great for this type of shooting. I did something I haven't done for a long time and that is to shoot a 36-exposure roll of film in quick order. Normally I'm a bit more considered when it comes to shooting with a 35mm camera. I usually take a few pics here, a few pics there and finish the film over two or three days. This time round, though, and probably because I had in mind that I was "testing" the Zuiko, I was a little trigger happy - but in a good way. I don't think any of the pics I took with the OM2n are classics but none of them are pointless either. That's not always the case with 35mm, particularly when you just want to get the film finished so it can be developed as soon as you get home. It can be fun testing a lens by taking pics of test charts and the like but I'm not sure how much it really tells us. Real world testing makes much more sense to me. I took shots at infinity, close-up, in between, in contrasty side-lighting and full shade, with the sun behind me and into the light, at full aperture and stopped down to F8. That should be enough to find out what the Zuiko is like. As a walkabout lens, the Zuiko is hard to fault. It's larger and heavier than the 50mm f1.8 optic but two things stand out: the way the image snaps in and out of focus in the viewfinder and the facility to go from an infinity shot one minute to a close-up just a few inches away the next. My walkabout lenses have always tended to be the 35mm focal length - I've done very little in that vein with a fifty - and I'd led myself to believe that this was my preferred angle of view. I'd still choose a 40mm if I could but I now consider the 50mm and the 35mm to be on a par. Although it is undeniably meatier than the f1.8, the macro isn't so heavy that it becomes a burden. I spent about an hour walking around with the camera in my hand and the strap wrapped round my wrist and, although I was aware of it, it never felt heavy. The Hexar is lighter but, dear me, I don't like looking through rangefinders at all! When I was using the OM2n, I could see perfectly what I was going to get, all bar a millimetre or so at the edges (it shows 97% of the field of view). Using the Hexar and the OM2n side-by-side just highlighted the rangefinder's deficiencies in that regard. A shot that was easy to frame with the SLR had me guessing with the Hexar. I think this has helped me make up my mind: I'm going to sell off all my rangefinders. That means the Hexar, a Yashica 35CC with 35mm f1.8 lens and a couple of old Minolta Hi-Matics. Strangely enough, the Hexar and the Zuiko macro are probably worth about the same which means, since I've promised myself not to spend any more money on camera gear, I could keep the Zuiko if I sell the Hexar. This really isn't what I wanted as I'm trying to simplify things and reduce my photography gear to a level where the cameras I keep will get regular use instead of only seeing the light of day once or twice a year. So my walkabout has helped me make up my mind to ditch the rangefinders but presented me with another dilemma - should I keep the macro or sell it and buy a 40mm Zuiko pancake instead? First world problems, eh? What remains to be seen, of course, is the results from the Zuiko. I had planned to develop the film and include some scans with this post but the curse of the Robbins' darkroom struck again. I assembled all the needed developing bits and pieces and then the mini-disaster happened. I was about to mix up a packet of D76, which needs water at around 55 degree Celsius, and had half-filled a measuring jug with boiling water from the kettle. I was distracted for a moment and plunged the thermometer into the jug before cooling it down a little with some cold water. The end cracked off and the thermometer did a good impression of a squid under attack as, in its death throes, it squirted blue liquid into the jug. Bugger. I didn't have another thermometer so that was my development plans out the window. I'd had that thermometer for around 20 years so I can't complain. I've ordered another one from AG Photographic along with some 5x4 film and Rodinal but probably wont get the package until Thursday. Hopefully, I'll have something from the Zuiko to post on Friday. Before closing, I have to say something about the OM2n as well as a walkabout camera. I've had OMs ever since I got my first pay cheque as an 18-year-old and they never disappoint. The system's creator, Yoshihisa Maitani, was a genius, easily on a par with the likes of Leica legend Walter Mandler in my opinion. This OM, although covered in grime when I won it in the auction, has cleaned up well and seems to be firing on all cylinders. It's hard to think of a better camera for this type of work. Light but solid, large, bright viewfinder, aperture priority auto which is great in most situations and fine Zuiko lenses. Really, what more does anyone need? I have the f/3.5 version of the 50mm macro. It's one of my favourite walkabout lenses. Although I miss the speed of the regular 50mm, the macro capability is more useful to me than the extra stop or two. The one advantage the f/3.5 has over the one you have is that it's generally quite a bit cheaper. BTW -- I agree with you about Maitani. As I noted in my review of the original Olympus Pen, the guy had a tremendous career! And as for a thermometer, try popping down to you local cooking store. I use a quick-read digital thermometer. Accurate, quick, and easy to read. Can't be beat! Hi Bruce - glad it is all coming along so well. My 55mm Pre-Ai Self-compensating Nikkor . . sharpest lens I own and apparently adapted for close-up work on the original Star Wars films! Hope everything comes together (finally) for you. I enjoyed reading your Pen review and the others on your website. Some good insights there. Just in case anyone doesn't know, if you click on Gary's name on his comment above you can get a link to his website. For a long time I've been a proponent of Zuiko glass. I love what they do to an image. I've not played with the macro lenses as I preferred speed but after reading your article I have to keep my eyes open for a reasonably priced one. Ebay's offerings are way overpriced. Having said that, another lens in the Zuiko range that I feel is very underrated is the 135mm 3.5. I have both the 2.8 and the 3.5, the latter being a much cheaper lens to buy. There is a certain something in the way the 3.5 renders a scene that makes pictures taken with it very artistic, especially wide open. I don't know whether there is any difference between the silvernose and the later model other than the multicoating so that might have some effect on it. I agree that Ebay prices are way over the top now. It's probably the most expensive place to shop for secondhand goods outside of dealers. There used to be a lot of bargains in the more common Zuiko lenses but even they are starting to rise in price as all those bloody Canon and mirrorless camera users spend a fortune on adapters so they can use film era lenses. Why the hell don't they just buy an Olympus body if they want to use OM lenses! Anyway, mini-rant over. I've only ever really used 35mm and 50mm Zuikos but there are plenty of photographers out there who love the look of other lenses, too. The 135mm f3.5 is one of the dwindling band of lenses that are still cheap enough that I'll maybe pick one up and give it a try. I'd encourage you to give the 135 f/3.5 a try. It really is a sweet lens -- I 2nd Matthew's recommendation. And the advantage of the f/3.5 is that it has the same filter size as many of the other Zuikos. In fact, my 24mm, 28mm, 50mm, and 135 all have the same filter size, so only one set of filters is needed. It's a shame you're not in America Bruce -- KEH is an excellent place to get used gear. The shipping to other places can be killer though. KEH is *way* better than eBay when it comes to used goodies. They're priced well and the stuff gets checked over. 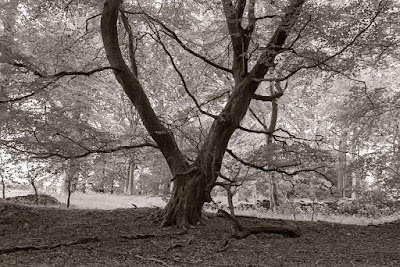 The OM2n is a genius of a camera. I remember taking a shot of my wife on the beach, only to realize that I had forgotten to switch on the camera. It would have been such a good shot but I presumed it was unmetered and ruined. But so long as the calculated shutter speed is greater than 1/30s there is a working metering circuit despite the camera being switched to off. I wish the body was a bit deeper. I have the 3.5 50 Macro. Great versatility.